A Hinowa boom lift has helped solve a working at height challenge in Glasgow city centre. Paul Dynes, Sales Manager for Active Access Ltd, said: “I carried out the site survey and it was quite challenging. The roller shutter door was just over two metres in height and the car park was equally tight in places. 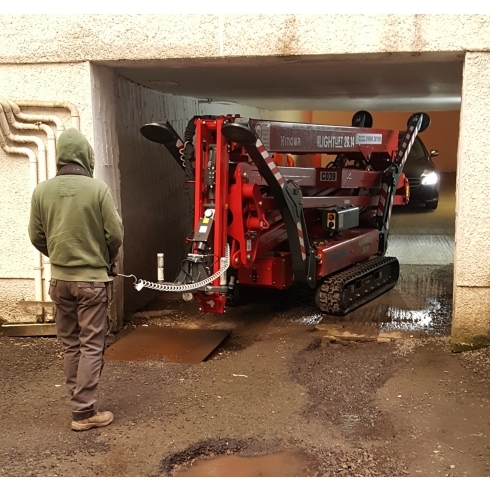 Access rental specialist Active Access has one of the largest hire fleets of tracked booms in Scotland, with Hinowa machines providing 14m, 17m, 20m and 26m working heights - with a 33m arriving soon. 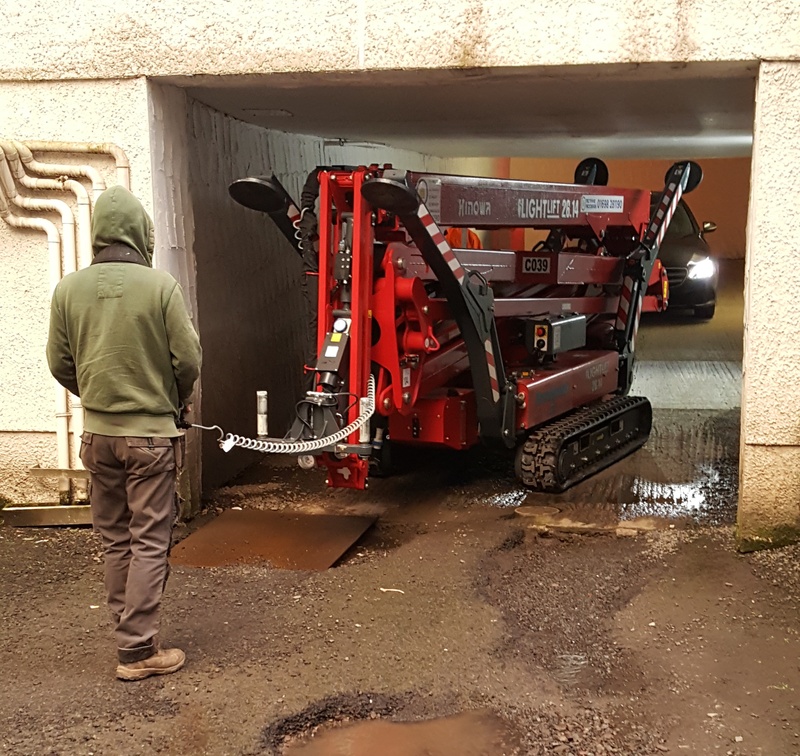 They purchased all the Hinowa booms from Access Platform Sales (APS), the UK’s authorised distributor for Hinowa booms and tracked mini-dumpers.